The ability to sit up unassisted coincides with the closing of the gut in infants, which is why it’s an important milestone to wait for before introducing solids. Look at your big girl! 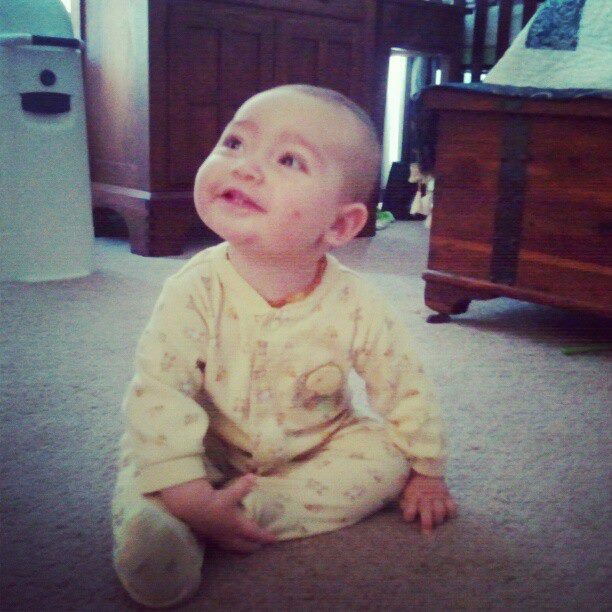 Sitting unassisted, and with confidence! And that smile! What will her first food be? Isn’t she GORGEOUS?! What a beautiful sight for a Grandma.